If you've been reading my blog and is familiar with my #skincareroutine post or if you're following me on my IG you will likely see my 7 - 10 steps Korean skincare routine. Yes, that's how many steps you'll need for a thorough Korean skincare routine. There are many steps in Korean routine because they usually include many different products in their routine including an essence, serum, ampoule ... Those are the products that you must include. I have incorporated serums and essences in my own routine but this is the first time I'm including an ampoule. Yep, this is My first ever Korean ampoule. 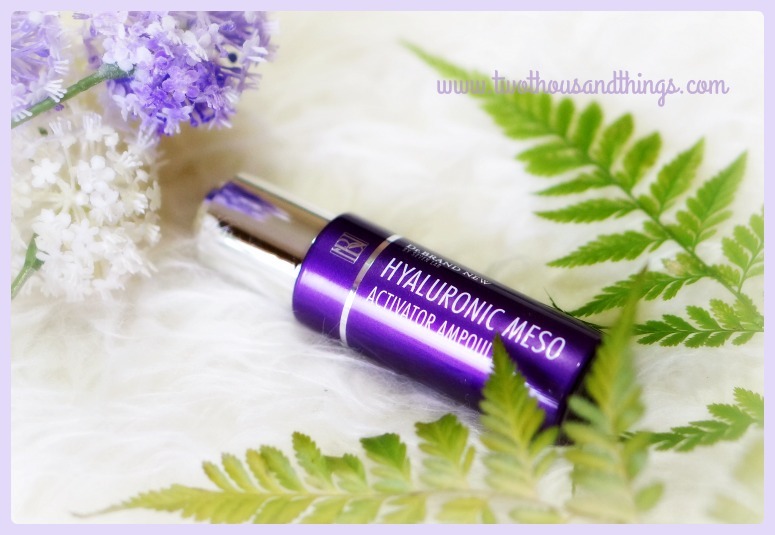 Dr. BrandNew Hyaluronic Meso Activator Ampoule is from one of the Korean beauty brand and clinic : Dr. Brand New by SevenLab. I got this ampoule from 08 Liter Indonesia and this is my first time trying it. An ampoule in Korean skincare routine means a super-concentrated formula highly packed with active ingredients. Basically it's a super-charged booster for your skin. Because of the super-concentrated formula an ampoule is not supposed to be used daily or very often. It is supposed to be used sparingly, every other day, or whenever your skin needs something extra. I was having a stressed-looking skin lately due to an emotional roller-coaster I've been having since my dad passed away, so I was entitled to use the ampoule everyday but I only plan to use it everyday for 2 weeks or so. I don't plan to keep on using it daily until the bottle is finished because we're not supposed to. So now I use this ampoule everyday morning and night, AFTER my face wash + toner, and BEFORE I put on anything else. But most of the time I only do the quick way : wash my face + toner + ampoule + moisturizer - on my lazy days or when I'm in a hurry. Aside from Hyaluronic acid, this ampoule also contains Sodium DNA extracted from salmon, EGF, and Collagen extract. All of those ingredients helps restore skin elasticity, brightness, moisture, and also helps with pores and wrinkles improvement. The texture is a clear gel-like with a slightly runny consistency. It's not sticky, doesn't have any scent, and absorbs quickly without leaving any residue. It also helps the absorption of the next products I apply after the ampoule. 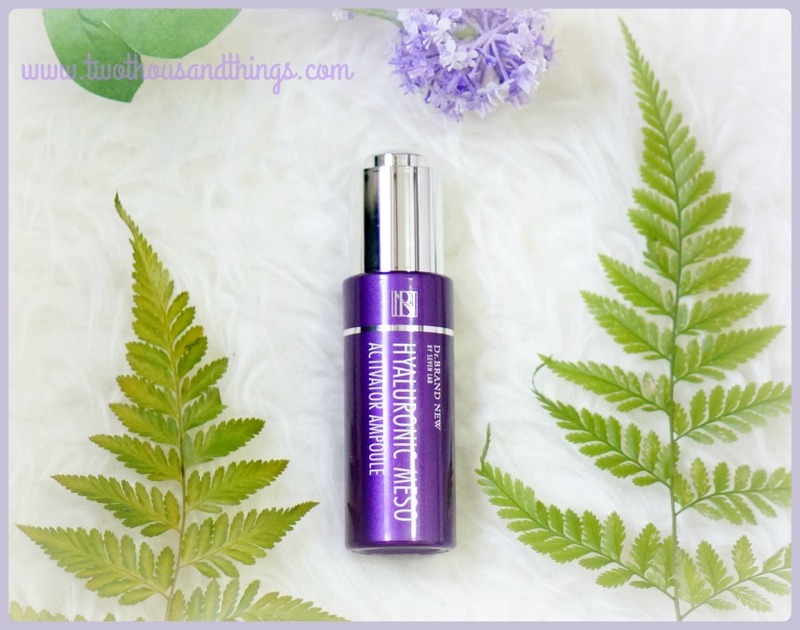 So adding this ampoule does not mean that you will add more time to your already-long skincare routine, because it literally does not take any time at all. It sinks so fast you won't even noticed it. So it generally would not add extra time on your already-long routine. As I told you above, I can felt the difference on my skin only after two days of adding this ampoule in my skincare routine. Now my skin is in a lot better condition than it was before using this ampoule. Seeing my skin gets healed brings a happy feeling for me, and in my photos I looked like I have a healthy glow in my face (which makes me happy too ^_^). I will definitely recommend this ampoule to everyone because I think this can be used for most skin types especially if you have anti-aging concern like me (^_^).